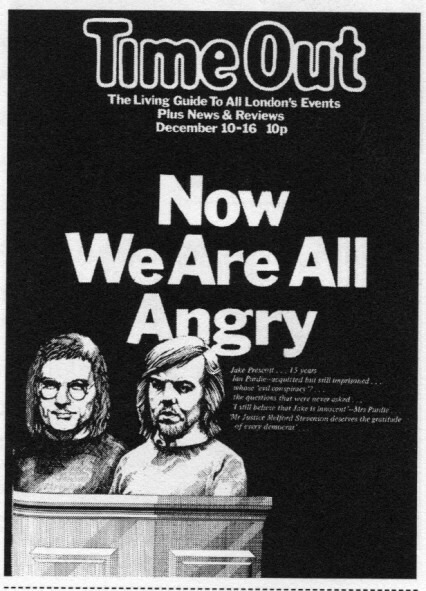 A previous entry will do as an introduction to the Angry Brigade and subsequent Stoke Newington 8 trial. All the other material on the subject on this site can be accessed by clicking on the Angry Brigade category. A recent article in the Hackney Gazette about the Stoke Newington 8 trial, focussing on anarchist Stuart Christie, his acquittal and a forthcoming film about his life.